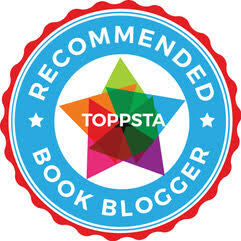 Two more fabulous books to get you outdoors, with Nosy Crow and the National Trust. Nosy Crow's fantastic partnership with the National Trust continues with a pair of gorgeous new books to encourage everyone to go exploring outdoors. 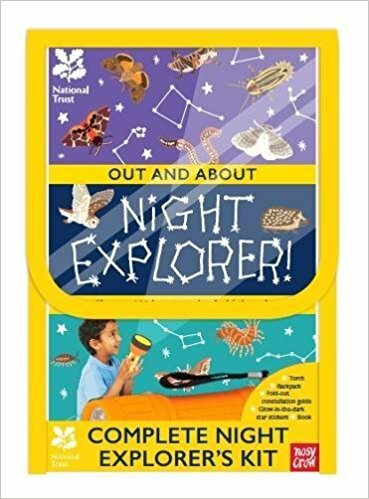 Starting with "Out and About: Night Explorer" this one comes with a fabulous little knapsack and torch, so that you can explore after dark safely. This complete night explorer's kit not only encourages you to look up at the stars and see how many constellations you can spot, but also helps you keep a sharp lookout for all the animals and birds that come out at night. Beautiful illustrations give you a head start in identifying various species, and also there are loads of hints and tips on where to look and how to look for your favourites. "Night Explorer" from Nosy Crow and the National Trust is out now. If you're more of a daylight rambler, then this brilliant little hard-back activity book might be more your thing. 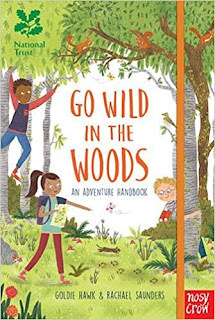 "Go Wild in the Woods: An Adventure Handbook" by Goldie Hawk and Rachael Saunders is a great little pocket-sized book to take with you when you next venture out into the wilds and woodlands (or even your local park). Again, brilliantly illustrated with a ton of facts to help you identify interesting animal and plant species, this is the sort of book that's perfect for us when we go out on our weekend visits to National Trust properties (if there's one thing we're so glad we did, it's joined the NT a few years ago - you can guarantee that no matter where you live, you're never that far from an interesting NT property or park). Pitched at slightly older children who will love making notes and seeing what they can see and do out in the wilds, this is a fab addition to the growing Nosy Crow / National Trust range. "Go Wild in the Woods" by Goldie Hawk and Rachael Saunders is out now, published by Nosy Crow / National Trust. Look out for both books in the National Trust shops at any property.